ALIEN: Covenant Trailer: Eggs Over Uneasy | "DESTROY ALL FANBOYS!" Tonally, for me it’s this: I’m getting Prometheus repeat visual vibes from the gorgeous CG landscapes with that magnificently muted but sharp high-def color palette, a crew of clueless soon to be victims stuck on a planet poking around at stuff better left to robots to check out and some of the interesting casting choices made. Hopefully the film won’t suffer from the same stupidity of poorly written characters clogging up the story with 50’s era “B” flick shenanigans that took me completely out of Scott’s last attempt. Which means I’m not too sold on Danny McBride (although I love him in his comedic work dearly) the same way I wasn’t sold on Paul Reiser in Jim Cameron’s ALIENS until I saw the film in a theater when it first opened. We shall see. Other than this post, I’m not going to follow the film at all online other than to run any newer trailers Fox drops with as little commentary as possible. Weird, yes. But I like not having an entire film ruined for me by constant hunting for every bit of info which only leads to too much speculation and eventually disappointment when and if something major is or seems missing. Besides, aren’t new experiences SUPPOSED to be fun and/or surprising? This blasted modern culture of seeking out secrets and spilling them is nothing but a destroyer of otherwise interesting entertainment, I say. Now go have yourself a Merry Little Christmas. I got one of my presents early. Thanks, Ridley! 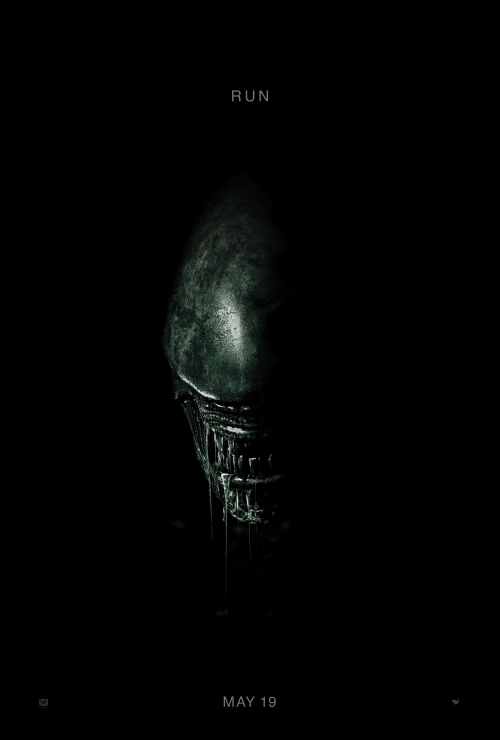 This entry was posted in 2016, Commentary, DAF, Features, Humor, Movie Posters, Updates and tagged 2017, 20th Century Fox, ALIEN Covenant, Coming Soon, Mature, May, Movie Trailers, Movies, Not For The Kiddies!, Ridley Scott, Violence Is A Very Horrible Thing, YouTube by geelw. Bookmark the permalink. Prometheus was confusing… I’m still waiting for a directors cut to put the plot back into the movie. The Alien from Alien and Aliens was perfect there was no need to change the formula. I really don’t know what to think of what we see in this trailer. I want to love it but my gut says it wont be any better than Prometheus.